Our original Golden Mountain Sauce is enjoyed throughout Thailand and used in homes & street vendor shops nationwide. It is also one of our top selling items here in the United States. 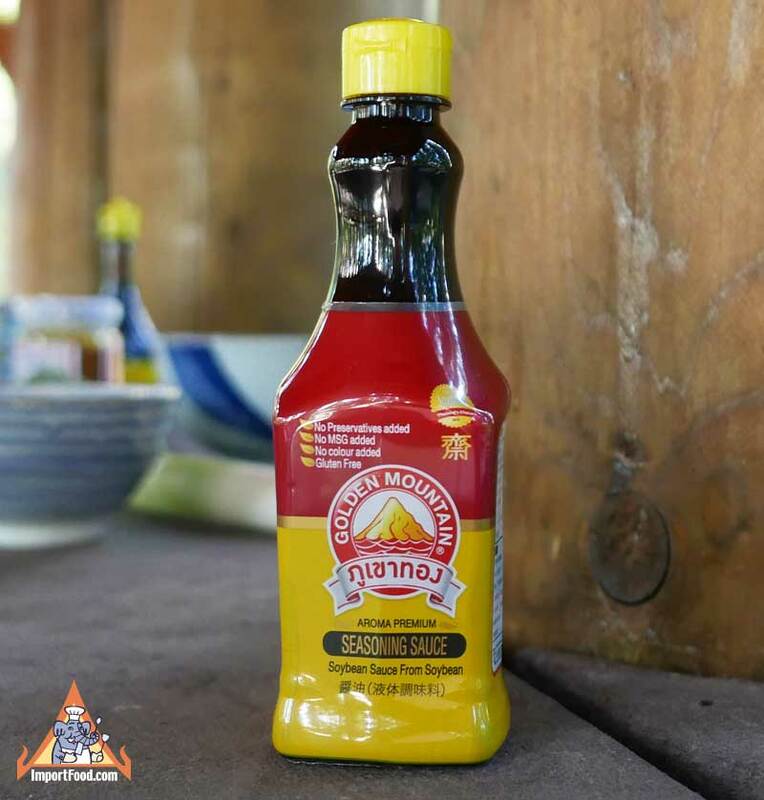 Now we are happy to offer for the very first time, Gluten Free Golden Mountain Sauce. This is a seasoned soy sauce that's fermented without using wheat. Taste is quite similar to the original version. Ingredients: soybean sauce (soybean, corn), sugar, salt, disodium 5 ribonucleotides E635. Packed in a distinctive 7 oz plastic jar.